CLAAS Harvest Centre has launched an innovative push to help grain producers reassess their harvesting costs. CLAAS Harvest Centre Product Manager - LEXION, Jono Ham, says the program aims to refocus current thinking from outright purchase price or operating cost per hour, to cost per tonne of grain harvested. "Many grain producers look at purchase price or operating hours when in actual fact, neither of these measurements provide any indication of harvesting costs," Jono says. "The only measurement that counts is the cost per tonne of grain harvested. "This is a function of the harvesting efficiency of the harvester and the front, the amount of crop that can be covered each hour and the number of hours that you can work each day. "At the end of the day, harvesting is about making sure you get your return on investment and minimise risk by getting your crop in the shed or silo as quickly as possible." CLAAS Harvest Centre has developed a calculator that estimates the cost of ownership of more than 30 different harvesters based on harvesting data collected throughout Australia. "We've found that even small differences in throughput, grain loss and fuel efficiency means the cost-of-ownership can vary by up to 20 percent between different makes and models," Jono says. "These differences can easily add up to more than $100,000 over three, four or five years." 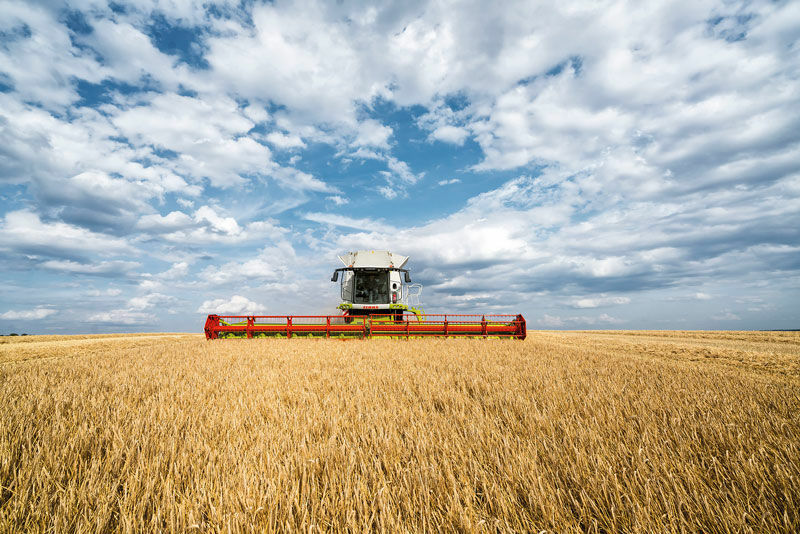 "The potential savings can be even greater once the opportunity to replace two single rotor machines with a twin rotor machine or expand your cropping operation are considered." CLAAS Harvest Centre estimates that the cost of purchasing a new CLAAS LEXION 750 (419 hp) equipped with a 12.3 m CONVIO draper front can be as little as $13/tonne. Likewise, the cost of a wide-bodied CLAAS LEXION 770 (585 hp) equipped with TERRA TRAC and a 12.3 m CONVIO draper front starts from $14/tonne. The two estimates assume a total throughput of 30,000 tonnes over five or three years, respectively, exclusive of operating and maintenance costs. CLAAS Harvest Centre is offering attractive early order discounts for 2019 delivery machines, including two-year factory warranty and a free upgrade to CLAAS CRUISE PILOT for orders placed before 21 December 2018. "That's more than $25,000 of added value before the machine is even delivered, on time and ready to work," Jono says. 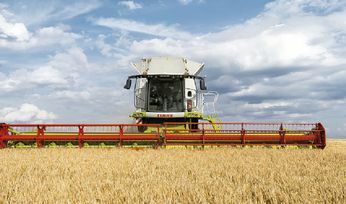 Launched in 1995 after a decade of development, LEXION was the first combine harvester to feature the unique HYBRID accelerated pre-separation threshing and twin rotor separation system. 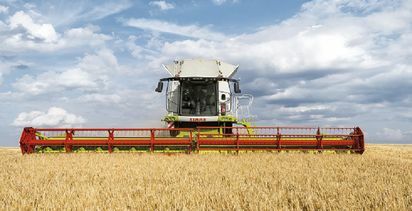 Approximately 70 per cent of grain separation occurs before the crop reaches the rotors, allowing LEXION to operate more efficiently and longer in all conditions. CLAAS is still the only manufacturer to offer both systems in the one machine. Now in its fourth incarnation, the current LEXION 700 series comprises four models: the wide-bodied 780 (625 hp) and 770 (585 hp) and the narrow-bodied 750 (419 hp) and 760 (461 hp). "CLAAS has made significant improvements each and every year," Jono says.